It’s time to say goodbye to 2014 and hello 2015! It’s time to get those canapés in the oven, pop some bubbles and get your friends and family around to toast the end of the year in style. 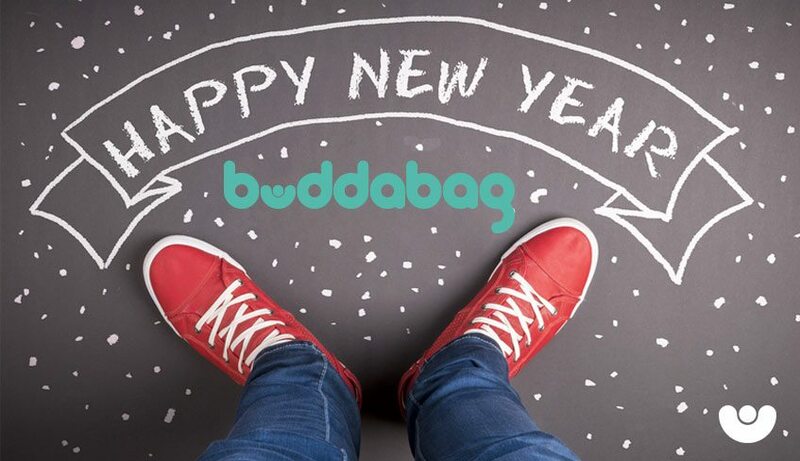 And what better way to host your guests then on your Buddabag as you think about your New Year’s resolutions and look ahead to everything the next year might bring. It was the saga that just wouldn’t end and divided the country almost as much as when Roy Keane walked out on the Irish team in the World Cup back in 2002… Garth initially sold out an amazing five nights in Croke Park, but after residents lodged a legal objection to the five concerts, things got messy. There was much ‘to-ing’ and ‘fro-ing’. It was the charity fundraiser that became a social media phenomenon and it dominated the end of the summer as everyone from Tom Cruise to George Hook took on the challenge and raised bucket loads (see what we did there!) of money for Motor Neurone Disease. And while it was great to see celebs getting involved, one of the most watched Irish attempts was this one by Teresina Bell who inadvertently became an internet sensation with her very funny water challenge fail! And don’t worry she posted afterwards to say she’s fine! Still looked sore though! While Ireland weren’t in the running, the country was still enveloped in a Samba-style soccer wave as Brazil hosted the 2014 World Cup! We got cosy in our Buddabags and watched as many teams fell by the wayside. We watched that Luis Suarez biting incident and lamented as Brazil just couldn’t make it to the final. In the end, it was Germany who won the tournament and took their fourth title in a 1-0 victory over Argentina. But for most Irish viewers what we’ll really remember is legendary sports broadcaster Bill O’Herlihy’s last ever show. There wasn’t a dry eye in the house! One of our greatest sporting heroes Brian O’Driscoll called time on his Irish international Rugby career which saw him lead Ireland to victory in the Six Nations Grand Slam in 2009 and numerous Triple Crowns over his career. But on 8th March after our 46-7 victory over Italy, we saw the mighty BOD walk off the pitch at Lansdowne road for his last game in a green shirt on Irish soil. A wonderful sports man, role model and all round legend, he was aptly voted man of the match one last time. His last ever international match came a week later in Paris in the finale of the 2014 Six Nations Championship which saw Ireland crowned the winners, but it’s the post-match interview from his last home game which will leave you with a lump in your throat.